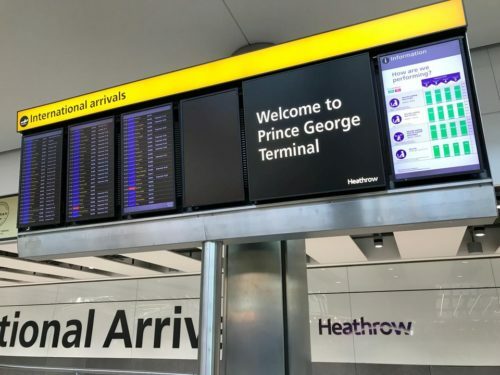 In addition to this list of April 1 travel tidbits sharing April Fools’ Day announcements from WestJet, Richard Branson and Denver International Airport, you should know about these April Fools’ Day announcements. Southwest Airlines released a video saying “all the other guys are doing it,” so they were beginning a “bag fee bandwagon bonanza” based on bag color. Virgin Australia announced a special pre-flight lounge for pets. Delta Air Lines announced it would begin serving a version of its popular Biscoff cookies – made with kale. Spirit Airlines announced Spirit Superiority Boarding at all U.S. airport locations. Because “the boarding process for most airlines can be lengthy, confusing, and frankly insulting…these new boarding procedures will clear things up,” the airline said it a statement announcing a new line-up of boarding priorities that starts with gluten-free customers, members of the Illuminati, those with O-negative blood type and ends with people who eat kale and, finally… everyone else. And, in Seattle, the Museum of Flight announced plans for adding real personality to some exhibits. Huetter noted that the museum has planes dating back to the 1920s and 1930s and that there are people alive today who flew in these planes. “When they pass away we will reunite them with the aircraft forever,” he said. Today WestJet announced that it is introducing Clapper technology on board its aircraft that will allow guests to operate amenities such as lights and live seatback television, simply by clapping their hands. Unfortunately, this technology is not yet available because it’s just an April Fools joke. But WestJet is offering a real 10% discount code on flights booked today for travel through June 29, 2010. Use promo code APR02 and the coupon code UYQGDGN.